End of this spectacular week and weekend! Tomorrow starts SBBMUN (Monday-Wednesday) also and that's gonna be interesting, fun and a lot of works for everyone! 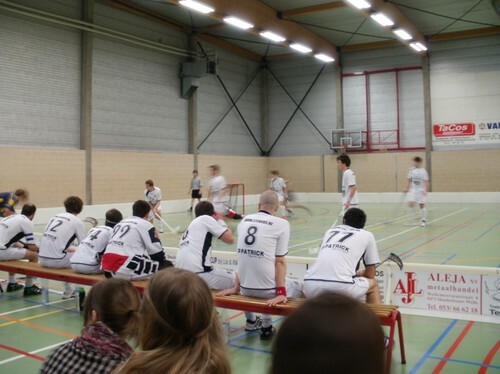 Today we had a floorball game with the seniors in Waterloo Lions playing in the Belgium League and we finally, finally won and we did play really good also, The game ended 10-4 I think but however a victory. During the game one of the other team beat me with the stick on my right hand so my thumb nail was shattered and a bit further down it started to bleed and now it's a brand of battling on the suit.